We arrange accomodation in hotels in around chennai and throughout southindia also. Fort Aguada Beach Resort 5 3Nights/ 4 Days. Accommodation and buffet breakfast for 2 adults and 2 children below 12 years. 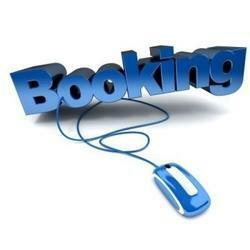 We will be able to provide Hotels [Three Star, Four Star and Five Stars] for Stay in major cities. Also, our association with various portal based Hotel Booking companies for more than 4 years will surely help us to get you the right property for your stay at Offer Prices too. CHR Services has entered into contracts for Accommodations with leading Star Hotels in the City almost in tune with T.A. type contract but with a difference. - Hotel HighlightsThe Hotel has 302 cozy and comfortable rooms. - rooms customized for disabled guests. - business conferences and seminars for up to 580 guests. Hotel Southern is a 'Friendly Hotel' located strategically in the heart of India's capital and in close proximity to Connaught Place. We are committed to providing personalized, professional guest service and 'genuine hospitality'. Our mission is to create loyal, satisfied customers who will return to our hotel repeatedly because of the quality and value offered.